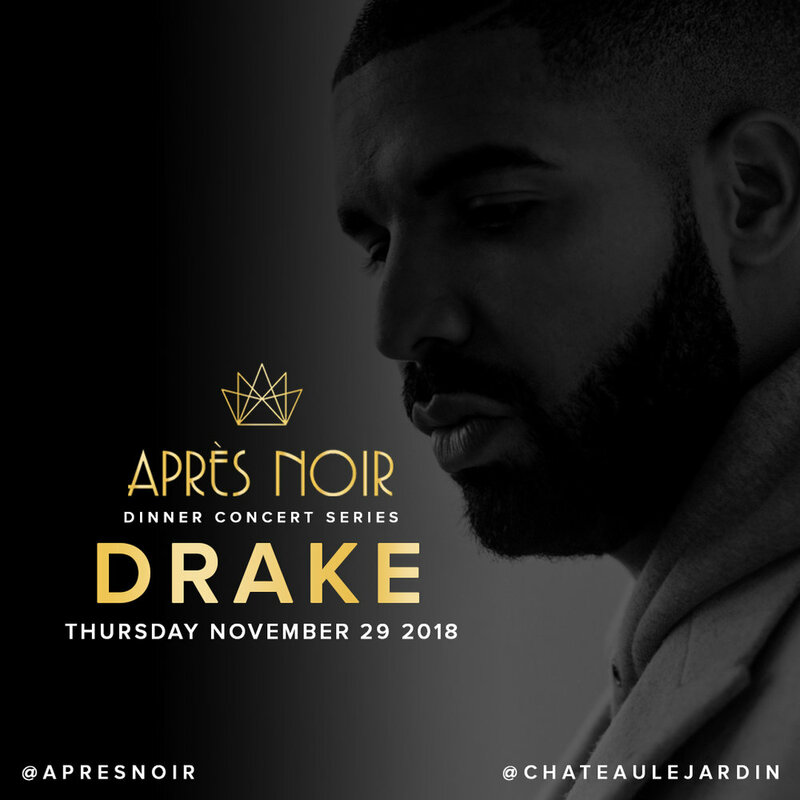 Après Noir is a dinner/concert series located in Woodbridge, Ontario. 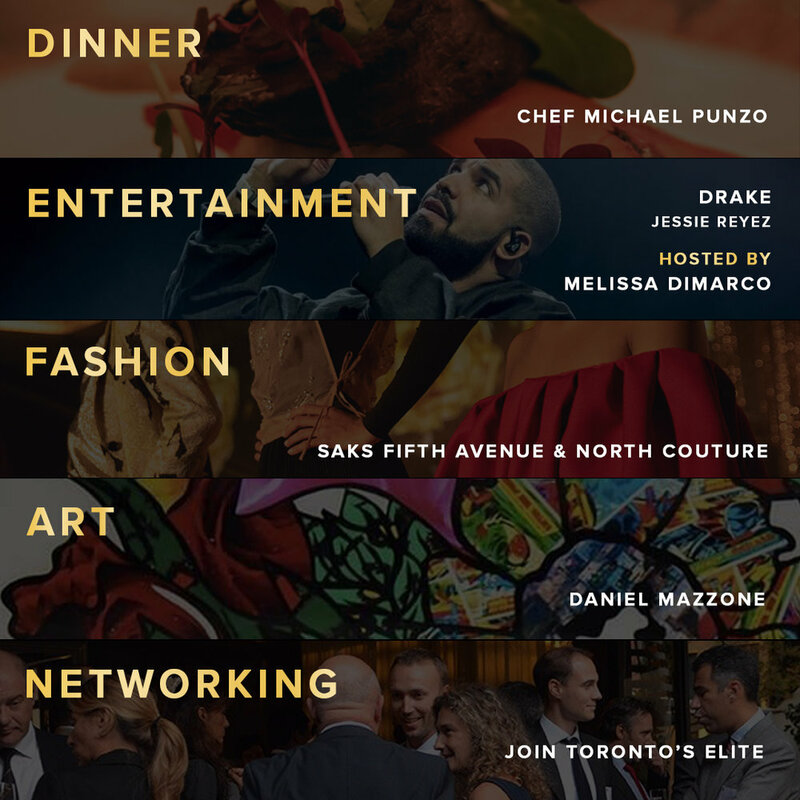 The event formula merges 5 key sales focuses under one rough; Art, Fashion, Dinner, Entertainment, and Networking. 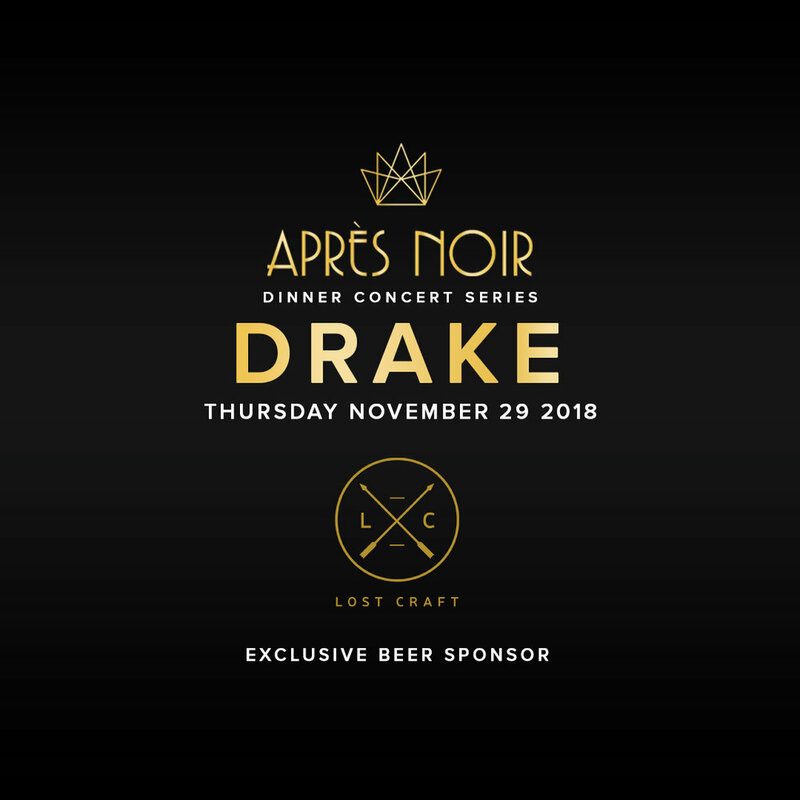 Our client wanted to market this event series by featuring 5 unique points of interest while drawing a relationship between the live event and potential sponsors. This was a large undertaking that began about 7 months out from the first concert. The brand was built, the social media channels were locked up and a marketing regime that mixed earned media, public relationships, and strong digital strategies began to produce 6 consecutive social evenings. 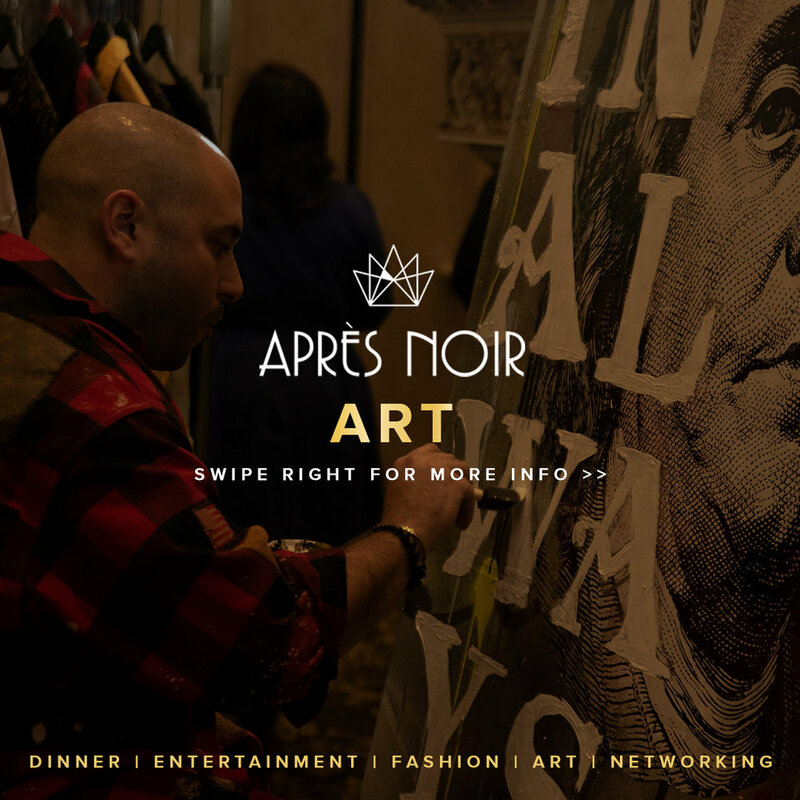 Après Noir as a brand was built on 5 fundamental elements; Art, Fashion, Dinner, Entertainment, and Networking. Using a 2-tone design theme (gold and black) an even distribution of focus was allocated to each of these particulars in regards to digital presence. 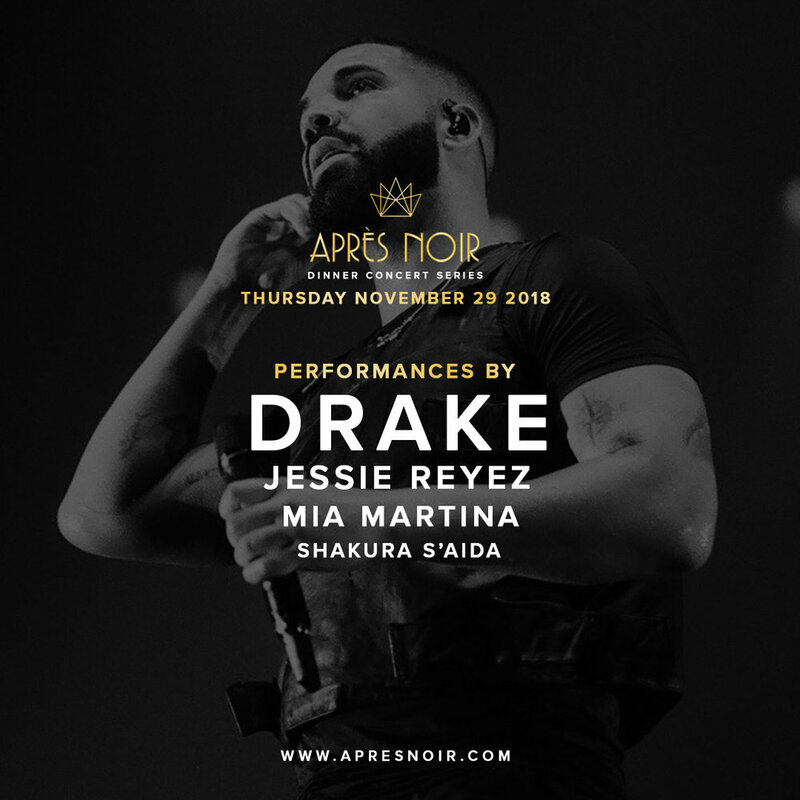 Physically, the same was accomplished, as Après Noir’s print and live show production. This content needed to evoke a lavish, yet minimal look in order to be universally digestible for a broad range of clientele, but still professional to cater to an older and higher earning demographic. 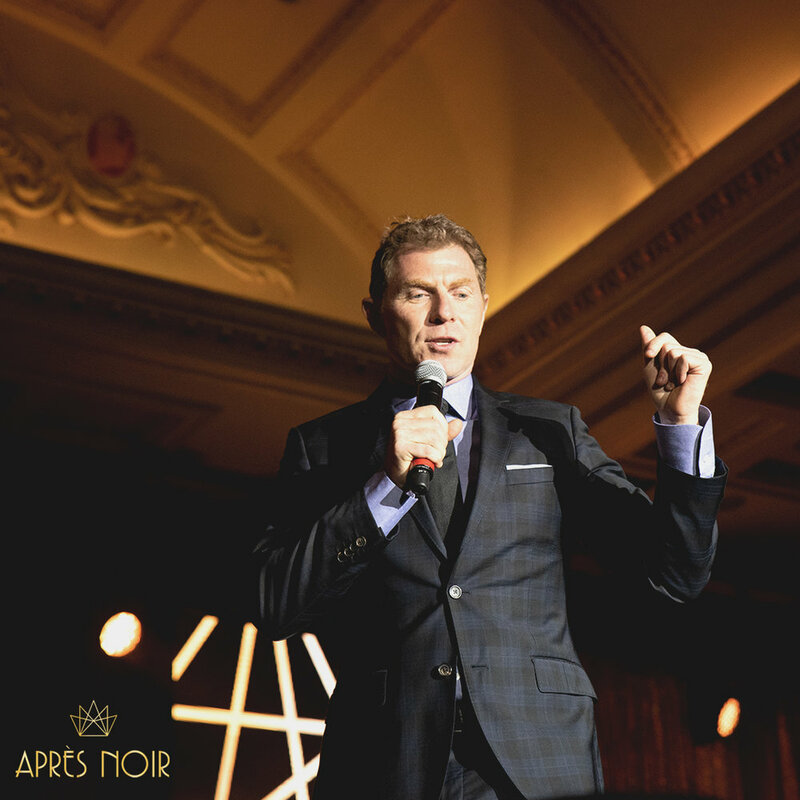 A highlight of our attention to Après Noir was our digital advertising strategy. This campaign was our most successful instance of Lookalike Audiences and remarketing to existing engagement. Rather than solely setting demographics to reach, our goal was to run small campaigns via social media surrounding earned media (blog posts) then using the engagement from those advertisements to build brand new audiences. This cyclical nature earned us a saved group of 64,000 combined Facebook profiles. 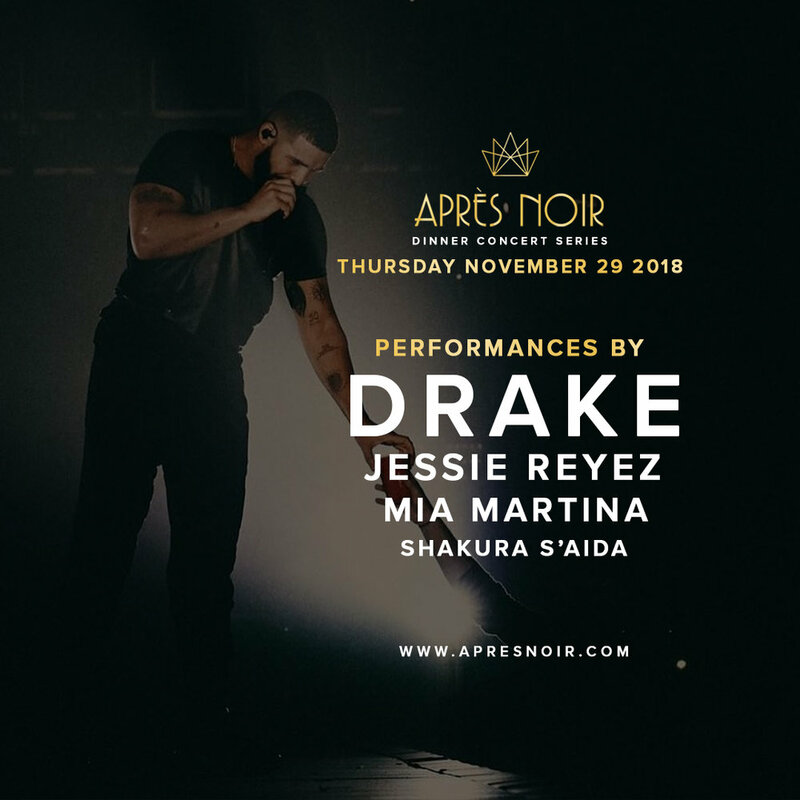 Our client had originally commissioned a team of videographers to produce content at the initial 3 Après Noir concert dates. It wasn’t industry standard quality and in many cases, the shot last was not followed. We instead took on the responsibility of both producing the content in office and editing afterward. A series of short format social media campaigns included animated quick cuts of this banked content in order to display the 5 pillars of the series. Insert Marketing developed a 3-tier sponsorship deck that saw several brands augment the cost of the event series. Our most successful activation saw Vype come on board as a Platinum Tier sponsor for a total of $400,000. This tier featured 3 distinct activations throughout the venue, including a unique phone booth experience where guests could interact with a physical call to action and enter a private branded experiential space. 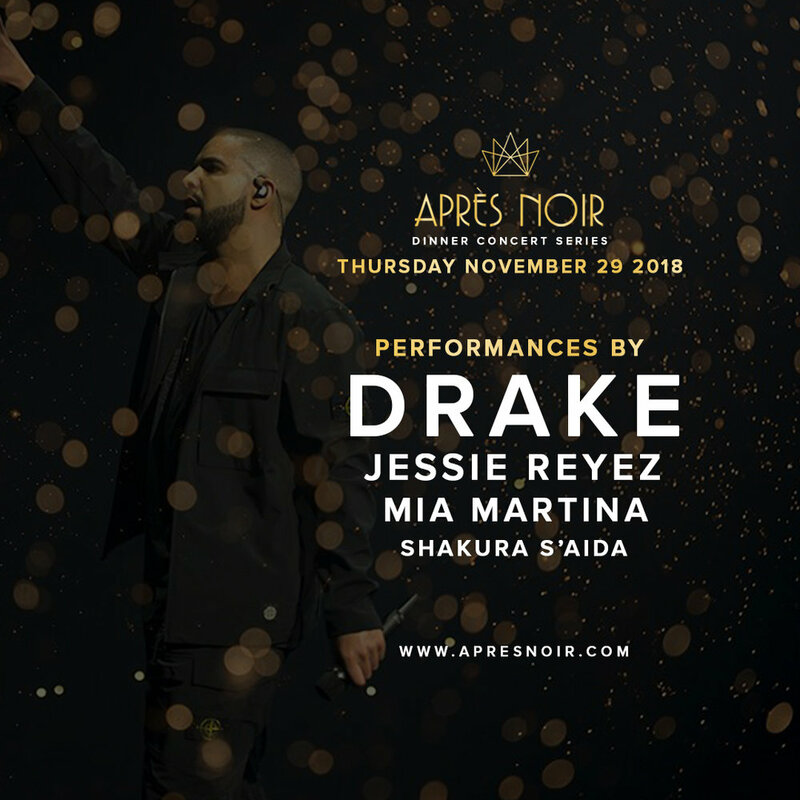 In a collaboration between Insert Marketing and I AM BOOKING agency, the talent was secured for 6 dates throughout 2018’s concert season at the Chateau Le Jardin venue. 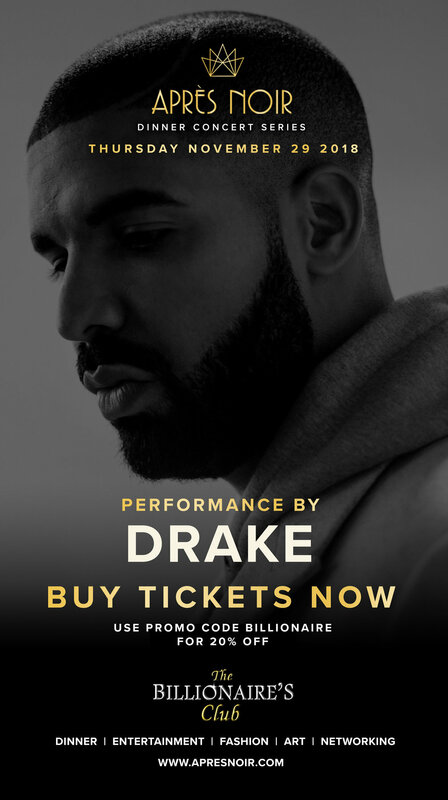 Drake, Bob Saget, Jennifer Hudson, and several other global talents were brought to Vaughan for the very first time. When sourcing images we had a lot of difficulty with obtaining content given the client’s photographers and videographers weren’t providing adequate footage. 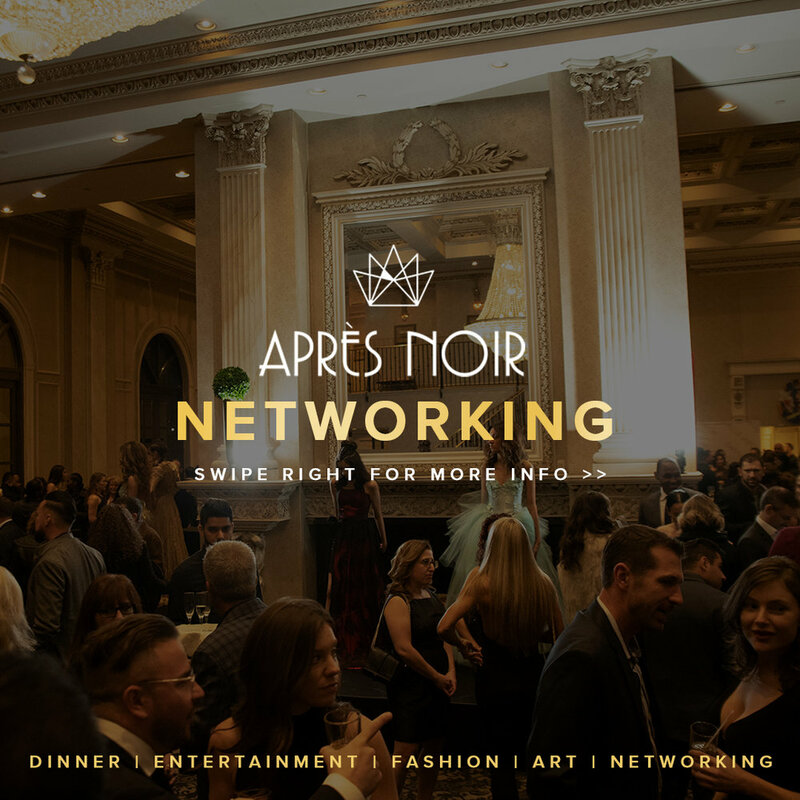 Après Noir’s branding began with digitally sourced images from Adobe Stock and Unsplash. Eventually, the client’s digital platforms saw lower CPC, heightened organic reach and an influx of calls to action as Insert Marketing took the photographic responsibilities under our wing and produced above industry standard live event material. Our captions, copy and phrasing was clean cut and descriptive. 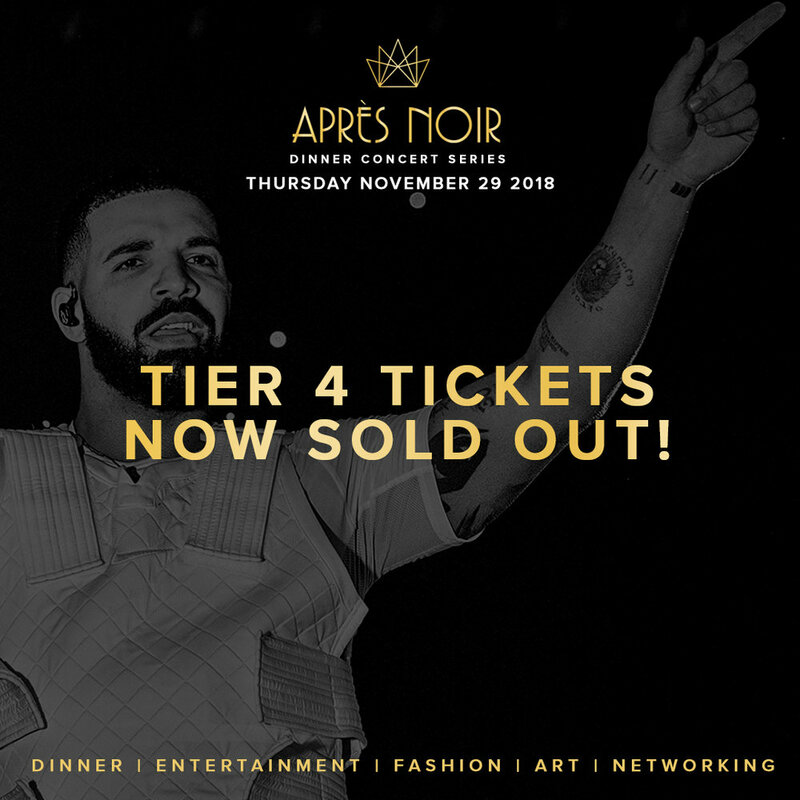 For each element of these soirees, Après Noir’s press releases, bios, and marketing material evoked a majestic and opulent vibe, while maintaining a strong sense of clarity. Clear calls to action, large buttons, and obvious sales destinations motivated users to go to point of sale in the quickest way possible. Adobe Stock, Unsplash, Combin, Instagram Automation Tools, Adobe Photoshop, After Effects, and Adobe Premier.